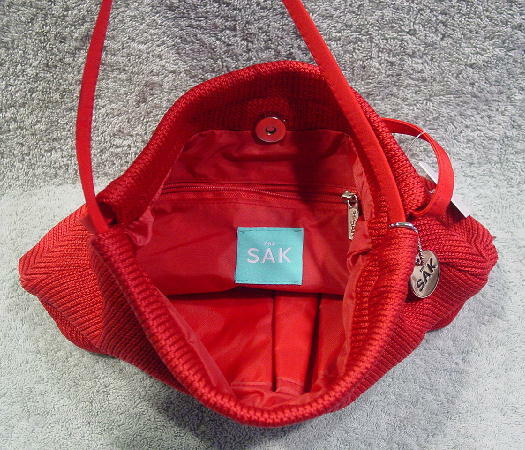 It has a red and white The SAK tag attached to the left lower side seam. 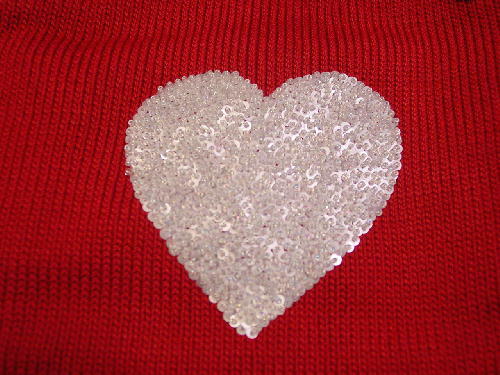 The front has a large white heart with tiny white pearlized sequins with tiny iridescent beads in each center. The interior back side has a large zippered pocket with an info card from the company. 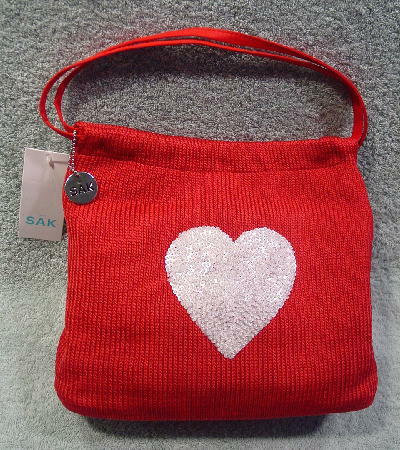 The silver-tone zipper pull has The SAK in elevated letters. The front interior has two large open pockets and a pen holder. There are two 16" by 3/8" fabric handles with a 6 1/4" drop and the manufacturer's tag is attached to one. We also have a smaller version of this purse.